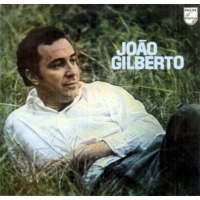 João Gilberto (born João Gilberto Prado Pereira de Oliveira on June 10, 1931 in Juazeiro, Bahia) is a Brazilian singer and guitarist. He is credited with having created the bossa nova beat and is known as the "Father of Bossa Nova." His seminal recordings, including many songs by Antonio Carlos Jobim and Vinicius de Moraes, established the new musical genre in the late 1950s.